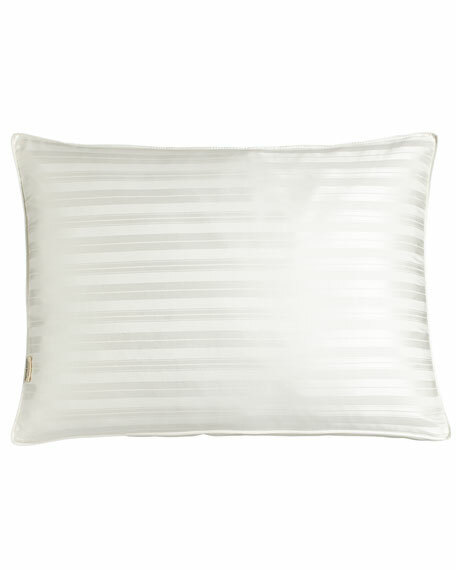 Austin Horn Classics Elite Down-Alternative King Pillow, 38" x 21"
Pillow made with renewable plant-based ingredients, the bio-based Sorona® fiber by DuPont is blended with polyester clusters to create the special down-alternative fill with spring-back characteristics. Excellent neck, shoulder, and side support. Outer zippered cover is silk/cotton; inner cover is 300-thread-count cotton sateen. Both the pillow and outer cover are machine washable. DuPont and Sorona® are registered trademarks of E.I. du Pont de Nemours and Company and are used under license by Pacific Coast Home Furnishings, Inc.